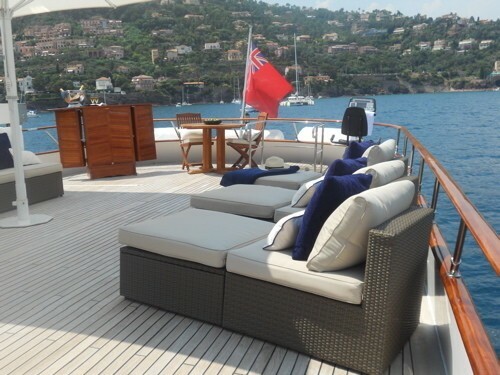 Mediterranean Luxury yacht AVA is elegant and spacious and ideal for either a luxury private charter or a corporate event charter. 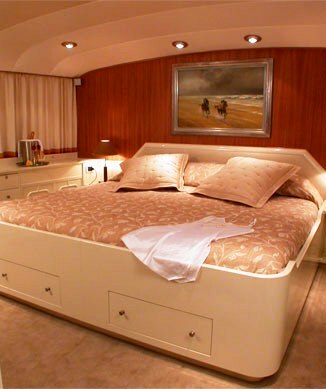 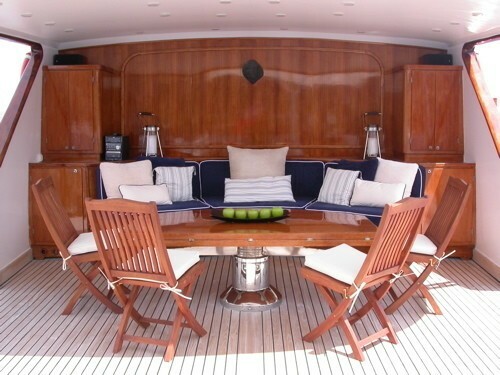 M/Y AVA an incredibly comfortable, strong, and seaworthy ship. 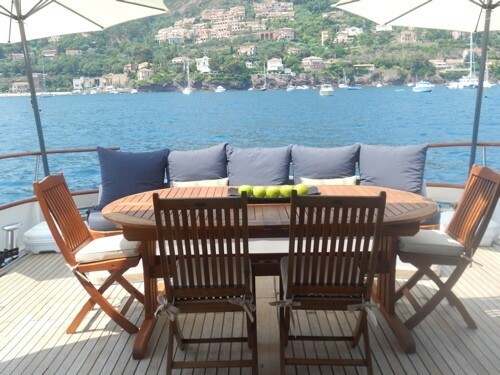 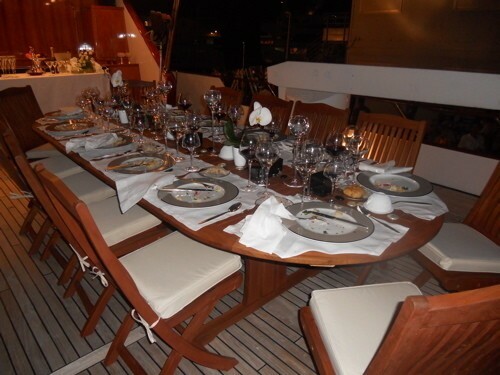 Starting aft, she offers an extended aft deck which is perfect for alfresco dining. 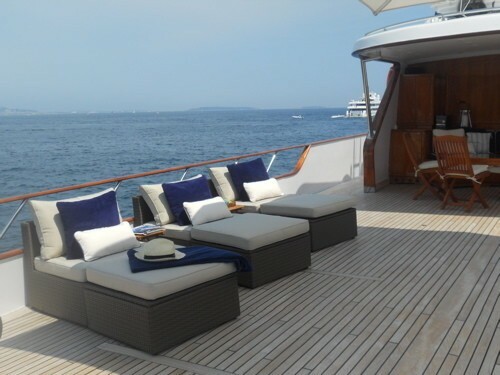 Then there are stairs the full width of the yacht, descending to the sea creating a unique recreation area for lounging and sunbathing. 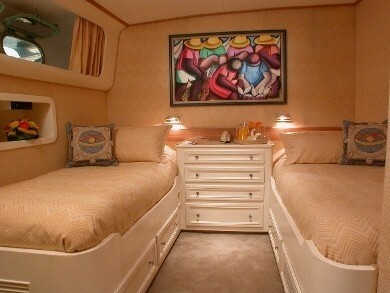 There is also easy access to swimming, water sports, and boarding the tenders and wave runners etc. 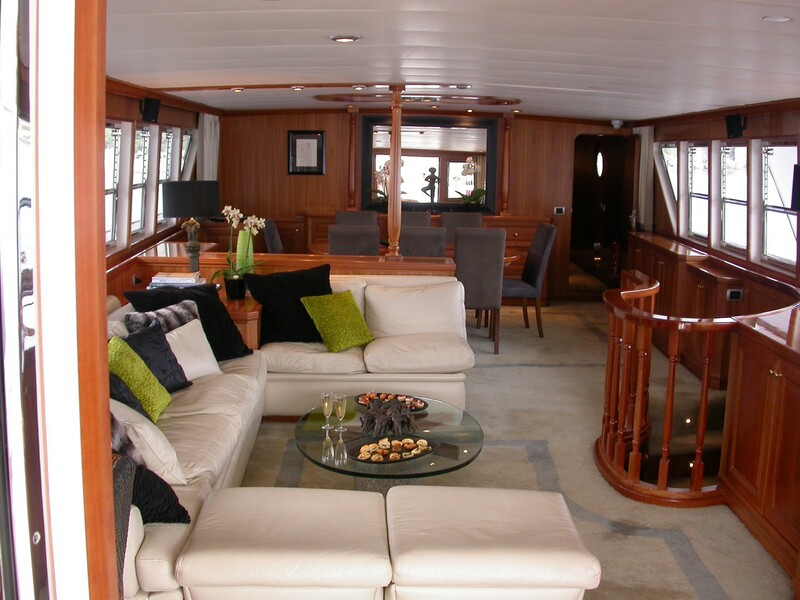 Going forward through double doors, you can enjoy the exquisite, newly refitted saloon in cherry wood, which was custom designed and built by Italian craftsmen. 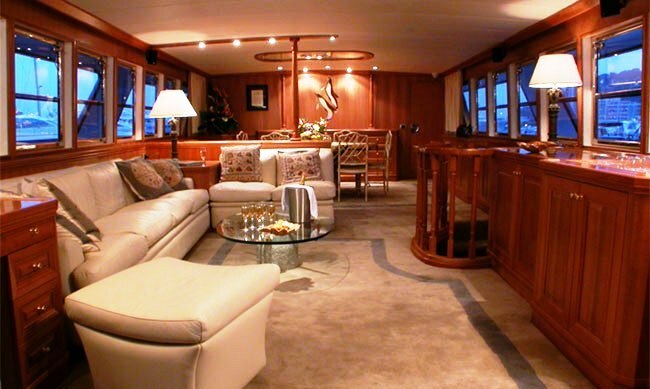 AVA’s saloon is ideally suited for relaxing and entertaining with a concealed large plasma screen TV, DVD, video, stereo, surround system and bar. 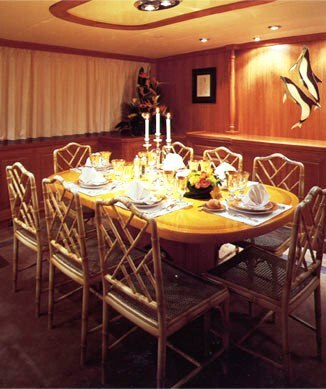 AVA’s connecting dining room can easily seat 12 with adjustable table. AVA has a MCA UK Class 6 passenger certificate (allowing up to 49 passengers for cruising and 150 guests in port!). 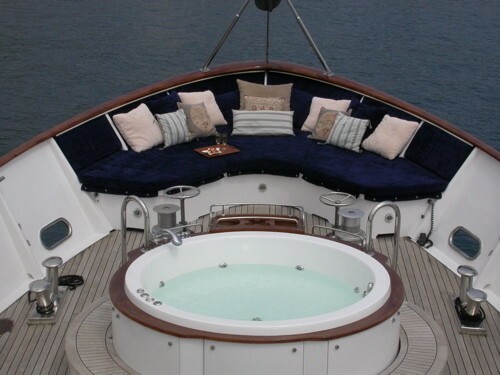 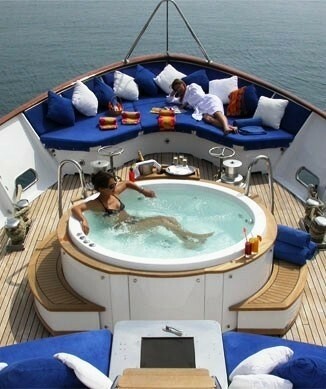 This makes her a fantastic option for a private or corporate charter. 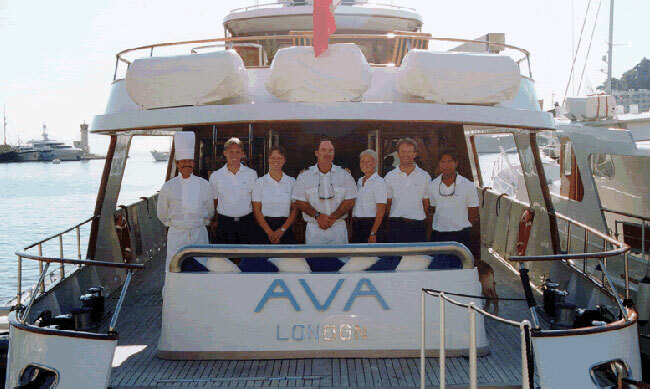 2003: BV 5 years classification survey, 5 year MCA Commercial Yacht Survey, saloon completely refitted with Cherry wood, new entertainment center with concealed plasma screen, Bose system, DVD and stereo, Spa Pool on the foredeck, new 2003 Yamaha 800cc waverunners, new dining table was custom made in Italy, in mahogany/cherry/teak wood. 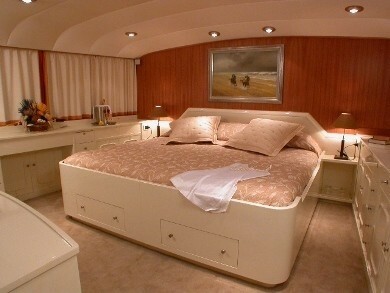 AVA’s Guest Accommodation 10/11 guests in 5 cabins, all with ensuite facilities, including full size bathtubs with shower. 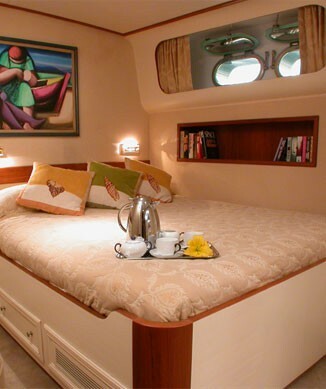 Master suite on the main deck : large king-size bed, with separate dressing room/office, which can convert to a children's cabin. 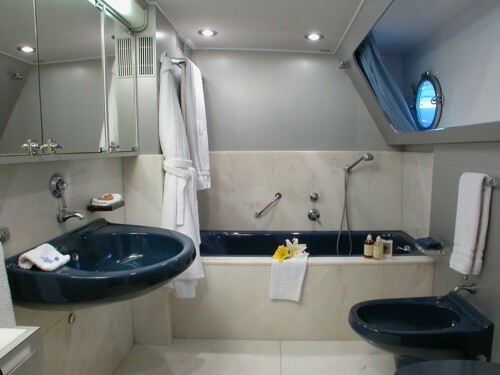 There are 2 double cabins, one of which has an extra hidden Pullman berth, and with very spacious bathrooms with teakwood and marble. 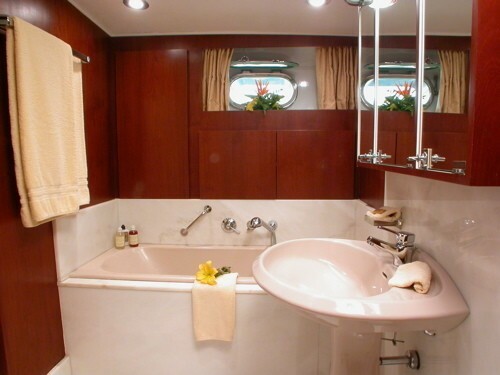 The 2 twin cabins, each with comfortable large single beds, has spacious connecting bathrooms in marble. 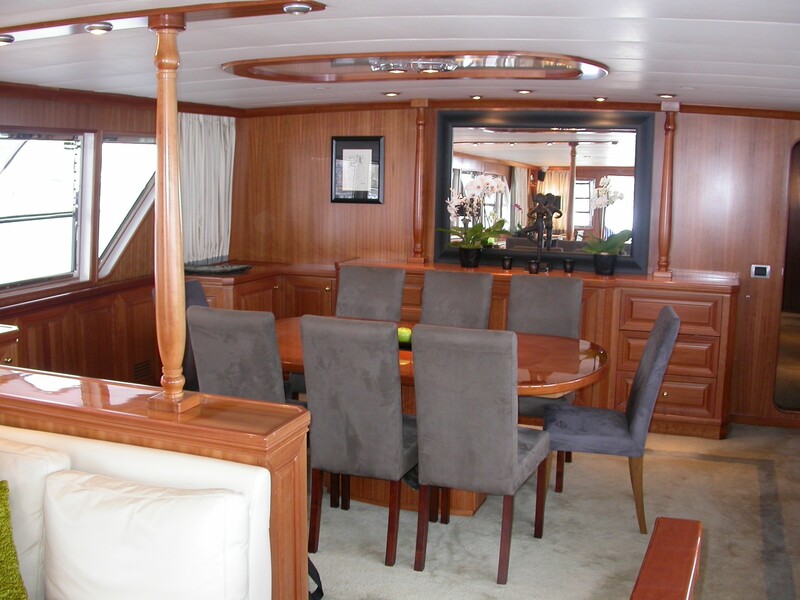 All cabins are fitted with large wardrobes, storage, TV, DVD, safes and stereo system. 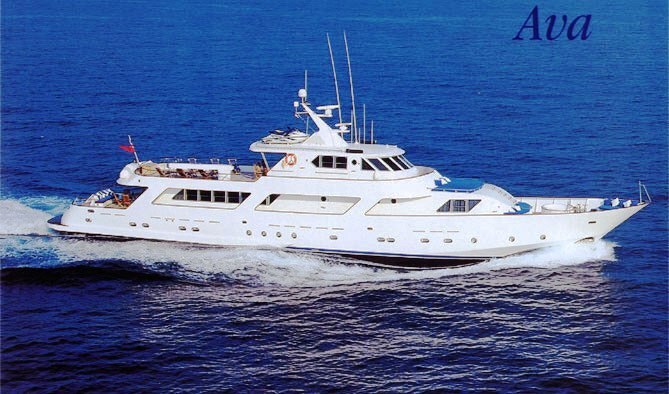 Note: AVA has a MCA UK Class 6 passenger certificate (allowing up to 49 passengers for cruising and 150 in port!). 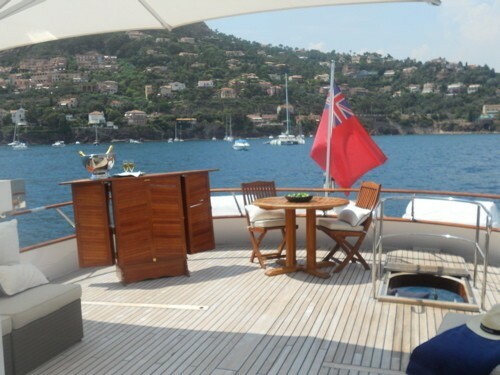 This makes her a fantastic option for a private or corporate America’s Cup 2007 Valencia Charter. 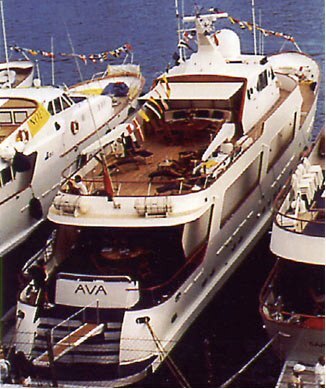 AVA provides the following yacht charter accommodation: Tenders & Toys 20' Novurania semi rigid speedboat with 130hp Yamaha outboard engine. 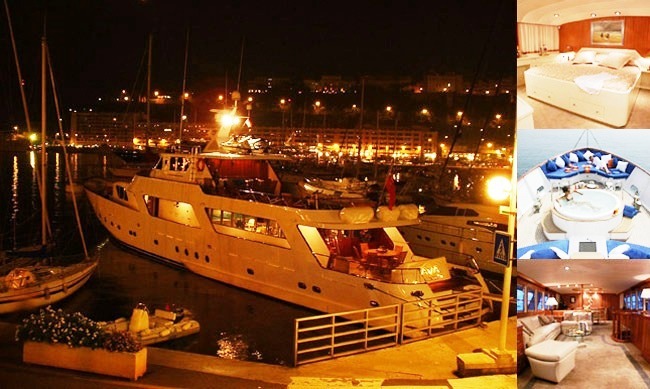 14' inflatable with 9.9hp 2 x Yamaha 800cc waverunners waterskis biscuits windsurfers snorkelling gear fishing equipment. 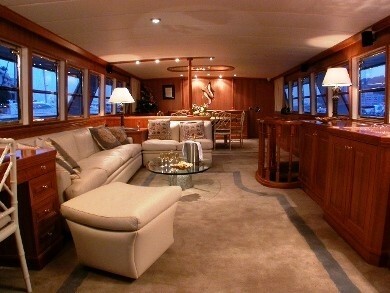 Audio Visual Equipment and Deck Facilities Stereo system DVD, video, satellite plasma screen TV (150 channels). 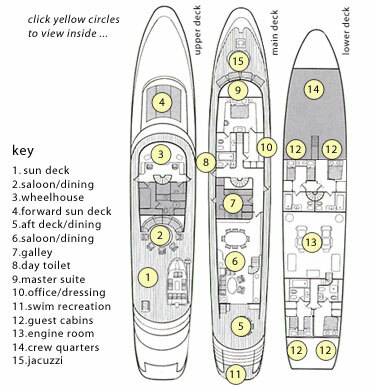 Communications VHF radio, SSB radio, cellular and direct telephone and fax with coverage in French, Italian, Spanish, all European waters interfaced with fax and telephone system throughout the ship. 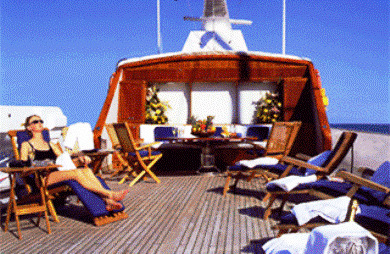 Satellite communication with separate telephone and fax.